Obituary for Judy Lorene (Corbin) Irwin | Wheeler Mortuary of Portales, Inc.
Funeral services for Judy Irwin, 59, of Portales will be at 10:00 AM, Mon, April 1, 2019 at the Portales Valley Church of Christ with Dee Lancaster officiating. Burial will follow in the Portales Cemetery with Josh Corbin, James Corbin, Jarred Corbin, Conner Corbin, Tyler Corbin, Jeremia Polk, Jonathan Corbin and Michael Corbin serving as pallbearers. All of her grandchildren will be honorary pallbearers. Judy Lorene Irwin was born Feb. 24, 1960 in Portales, to the home of Wanda and Dorman Corbin, and died in Lubbock, TX early on the morning of Mar. 28,2019. Judy graduated from Dora High School in 1978. In the early 1980's she began working as a records clerk for the Lubbock Police Dept. In 1985, she accepted a job in the Portales Police Department. Judy retired after 25 years of service in 2010. Since then she had been working as the Home Health Care Coordinator for Community Services in Portales. 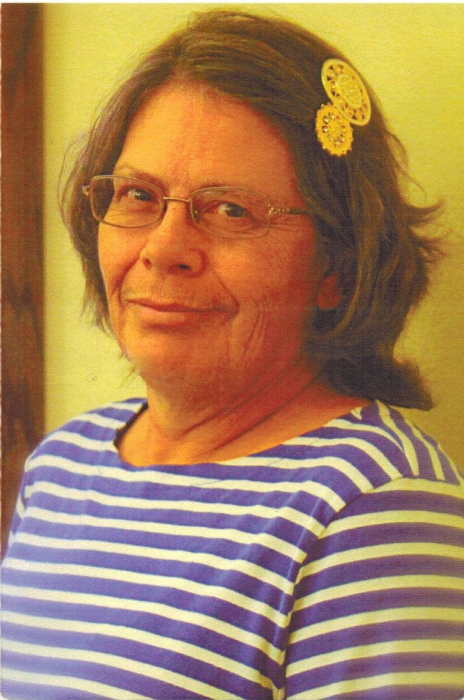 Judy was an active member of the Portales Valley Church of Christ. In earlier years, she enjoyed bowling. She always enjoyed visiting with her elderly clients at the Community Services Center, but Judy's greatest joy came from spending time with her grandchildren. She is survived by a son and daughter-in-law, Travis and Crystal Irwin of Portales; a daughter, Cindy Polk of Clovis; seven grandchildren; her parents, Wanda and Dorman Corbin of Portales; and two brothers, James (Becky) Corbin of Sinton, TX and David (Janis) Corbin of Clovis. She was preceded in death by a son-in-law, Santos Polk.